Welcome to the new St. Farnan's Website! Welcome to our new website - please check the school calendar regularly for updates on important dates for exams, projects, trips, sporting events, parent-teacher meetings and other school events. - Please note that all dates in the online calendar are subject to change. 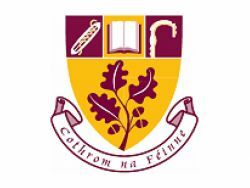 St. Farnan's Post-Primary School is committed to remaining relevant in what is undoubtedly a rapidly changing educational environment, while retaining a tradition within which the personal development of students is promoted as a central element in all activities. Thank you for visiting our new improved web presence - please bear with us while we build content in all areas of the site!